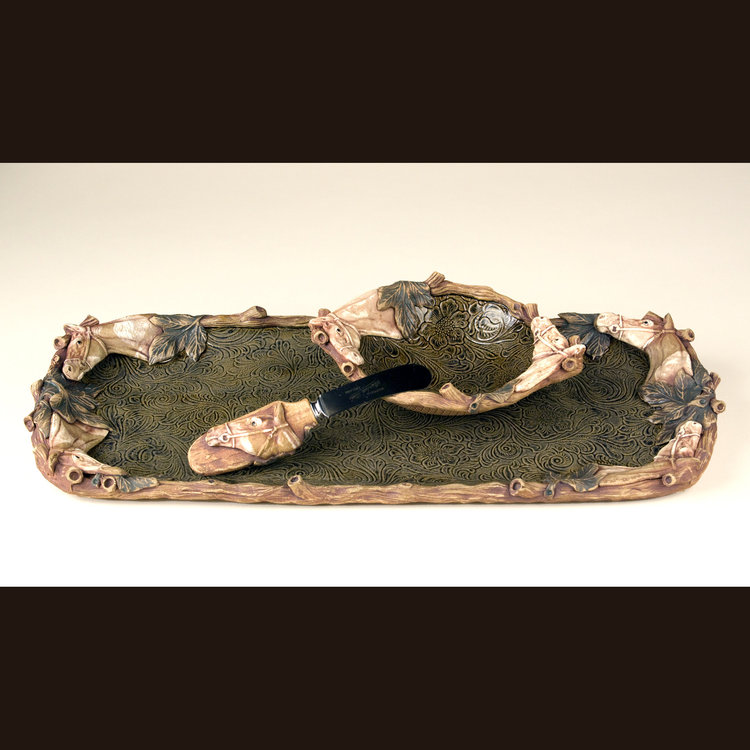 Susan Wechsler started hand crafting functional pottery in 1967. She built up her own wholesale designer pottery business but gave it up in the early 80’s so she could devote herself more fully to creating new art. Her passion for cooking and entertaining is what drives her to create gorgeous platters, baskets and bowls to enhance the foods they hold and to beautify the home environment. She has continued to develop her own line of handmade functional ceramics for home and office. Her work has appeared in museums throughout the United States and in publications by Woman’s Day Magazine and Lark Books. Susan’s ceramic pieces are made with food safe glazes and are dishwasher and oven safe.